ExtraMAME - a small MS Windows compatible game GUI wrapper for MAME, the Multiple Arcade Machine Emulator authored by Nicola Salmoria and the MAME team. 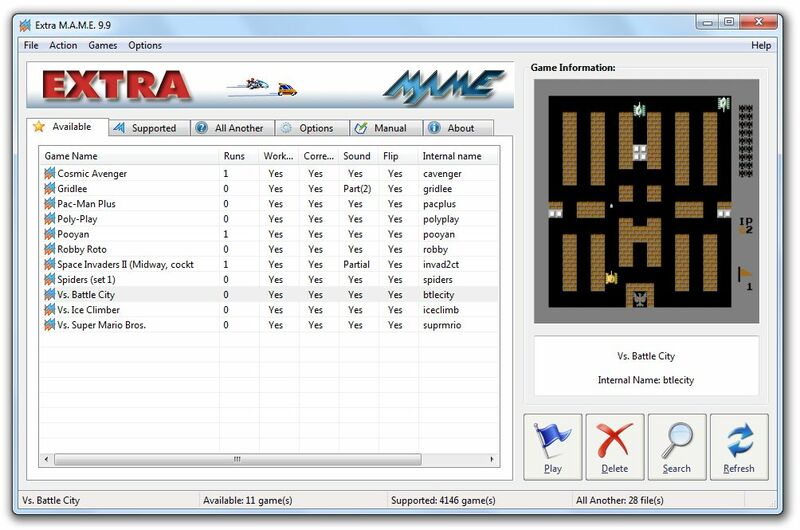 MAME let's you play thousands of old-school arcade games on your computer. ExtraMAME is smaller and easier to use. It doesn't force you to fuss with difficult configurations and it's compatible with all MAME games.